Welcome! All you need to do is 1. Find the time slot below that best fits your age, experience and roles (see below), and 2. download, print and complete the audition sheet which can be found here. Remember to bring the completed audition sheet with you on October 14th. All minors must have their guardian's signature on their form. And finally, just show up on the 14th, arriving at the beginning of the time bracket. If you are scheduled from 10-11 AM, please be ready to go at 10:00 AM. Time Slots: Auditions times are broken into three separate slots depending on age, experience, and roles desired (see Character Descriptions, below, for information about the named roles). Arrive ready to go at the start time of your slot. Everyone who auditions will be included in the show. The Director for this show, Tammy Holmes, and the Music Director, Courtney Babbidge, will help everyone who comes out to audition to feel comfortable and to participate in the process. Please choose only one time slot. 10:00am-11:00am LITTLES (Kids, Squirrels, and Oompa Loompas): This time slot is reserved for young cast members and those who have no or limited experience. Suggested age range 4-8. Children will be asked to sing part of an Oompa Loompa song in small groups and practice taking directions through theater games. 11:00am-12:00pm ENSEMBLE and FEATURED (Kids, Squirrels, Cooks, and Oompa Loompas): This time slot is reserved for those cast members from age 9 and up who want to be part of the ensemble, a group of cast members who perform on stage together, or a featured member, one who stands out from the ensemble. No experience is necessary. Auditions for this group will consist of singing in small groups from the show song called Candy Man and acting out scenes that include ensembles and/or featured roles. The kids in the Candy Man scene are an ensemble that has featured roles which can be heard at the beginning of the song link below. Use this link to hear and read the lyrics to the entire song. This is taken from the junior version of the show but is most like our song. Please copy and paste it into your address bar. MAIN AND SUPPORTING ROLES: This time slot is reserved for those cast members who are interested in lead or supporting roles as described in the character descriptions. Please note the age ranges in the description are a guideline. We recognize that someone may be able to play a role much younger or older than their actual age. Auditions for this group will include a dance, song, and acting portion. Please come ready to perform a dance number in small groups taught by our choreographer. Come prepared to sing a song solo that showcases your voice. Usually, 16 bars or about 1 minute of the song suffices. You may sing a song from the show, but keep in mind that sometimes the show songs are not the best audition songs. Our musical director, Courtney Babbidge, will accompany auditions. Please check with Courtney if you are not able to supply sheet music for him to play. He may already have it, can easily access it, or will help make another suggestion. Courtney can be emailed at cbm7b5@yahoo.com or contacted via Facebook at https://www.facebook.com/courtney.babbidge. You will also have an opportunity to act out scenes from the show that includes main and supporting roles. If the audition teams need to have further audition time with specific people in order to make final decisions we will have callbacks later that evening. Scenes and cold reads from the show may be part of that process. 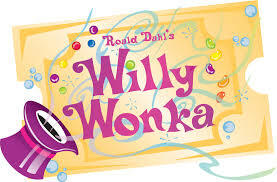 Child roles will be asked to sing a portion from “I’ve Got a Golden Ticket” and adult roles will be asked to sing a portion of “Pure Imagination.” We have reserved Saturday, October 14th between 6:00pm and 8:00pm for call-backs if needed. Show Dates and Rehearsals: The show will be performed on Friday January 12th thru Sunday January 14th at the Crooker Theater in Brunswick. Rehearsals will be held at Mid-Coast Presbyterian Church on Monday, Wednesday and Friday 6-9 and Saturday 1-4. Not everyone will be called to every rehearsal. We try to keep the youngest performers to Friday and Saturday rehearsals, except during the last week before the show when the full cast will be called. Willy Wonka is an enigmatic character; at once mysterious and mischievous but also charismatic. There are a number of directions to take with Wonka, ranging from Gene Wilder’s version in the original film, Willy Wonka and The Chocolate Factory, to Johnny Depp’s portrayal in the recent film, Charlie and The Chocolate Factory, and everything in between. This actor needs to be charismatic and engaging. The actor should be able to be funny and serious and change between the two on a dime. He sings several solos. A local candy man who sings the praises of candy with children who frequent his candy cart. He sings and dances during his iconic song “Candy Man”. He is only in Act I and the Finale. The role of Charlie Bucket is the emotional heart and soul of the musical. The actor performing Charlie should have an unchanged voice and lots of pluck and enthusiasm. Think a male “Annie.” Charlie is in nearly every scene, so make sure you can handle the demands of a sizable role. He sings several solos and performs a tap dance number. No tap dance experience required, but the right attitude and willingness to learn will be necessary. Grandpa Joe is the grandfather we all wish we had when we were Charlie’s age. He is caring, patient, sweet and always reminds Charlie to remain cheerful. This actor needs to be both kind and funny. The role sings a bit, but the singing is secondary. They are Charlie’s nurturing parents who try to maintain a positive outlook. Both sing solos; Mr. Bucket performs the number “Think Positive” with Charlie and Mrs. Bucket sings “Cheer Up, Charlie” with Mr. Bucket and Grandpa Joe. They are throughout Act I and in the Finale. Phineous is the reporter who announces the winners of the Golden Ticket contest. The role requires some singing and definitely comedic timing. This role is seen throughout Act I and the very beginning of Act II. Augustus is the overachieving eater who represents the evils of eating too much. This actor will be fitted with a costume that makes him look plump. Augustus sings “I Eat More!” along with his mother and Phineous Trout. The song is on the difficult side but does not need to be sung with a polished pretty voice, in fact, the more character the better. A German accent is a must and is written into the dialogue. Mrs. Gloop is Augustus’ mother who has overindulged her son with food. She accompanies Augustus on the tour of the factory and sings “I Eat More!” which is one of the more difficult songs in the score. The role requires a character actress who isn’t afraid to take positive risks both in her acting and her singing. A German accent is a must and is written into the dialogue. For this adaptation, Mike is not just a TV junky. He is also addicted to video games, the Internet, and any other mind-numbing technological device. Mike is bratty, loud and obnoxious. He does not know the word “no.” Mike and Ms. Teavee sing “I See It All On TV” so he needs to be a reasonable singer, but does not need to be phenomenal. Ms. Teavee is a take on all television moms of the distant past. Think June Cleaver (Leave it to Beaver) or Marion Cunningham (Happy Days) or even Carol Brady (The Brady Bunch). She’s perfectly put together and a bit vacant. She sings “I See It All On TV” but does not require a polished voice. Gum chewer extraordinaire, Violet hails from Snellville, Georgia, so it’s nice if she has a Southern American accent. She takes every opportunity to show off. Violet should stand in stark contrast to Veruca Salt. Veruca is a wealthy refined brat; Violet is more of a blue-collar, middle-class brat. She sings “Chew It” along with Willy Wonka. The song is a tour-de-force for the right voice so this actress will need a strong voice to belt as she turns into a blueberry! Mrs. Beauregard is Violet’s enthusiastic “helicopter parent” who focuses all of her attention on her daughter. She is a teacher of geography and has invested a great deal of hard-earned money on therapy for her orally fixated daughter, with less than stellar results. She indulges Violet's worst competitive impulses. The role is virtually non-singing. Her accent should match Violet’s. Veruca is the wealthy, class-conscious, spoiled brat. She will need a high British accent. Veruca’s solo number “I Want It Now” is deceptively tricky and comes late in the show so this actress will need to have a strong voice. Veruca should contrast sharply with Violet Beauregarde in terms of look and physical type. Mr. Salt’s solution to most problems is to buy his way out and he flaunts his wealth around without hesitation. He is upper class and must have a high British accent. He sings very little. Charlie’s three grandparents are mainly non-singing character roles but have scene-stealing lines. The comedic roles need to be led by a solid actor and actresses that are innately interesting and who have good comic timing. They are seen throughout Act I and in the Finale. James is Charlie’s friend from school. He has a few lines and sings the introduction of “The Candy Man” along with Matilda and Charlie. He is in Act I only but can be in other ensembles in Act II. Matilda is also a schoolmate of Charlie’s, but she’s a bit of bully. Matilda has a few lines and sings the introduction of “The Candy Man” along with James and Charlie. She is in Act I only but can be in other ensembles in Act II. The Oompa-Loompa Chorus is a fun and energetic group of candy making helpers who love their leader Willy Wonka and who sing songs to convey life lessons after each lucky ticket winner overindulges. These schoolmates of Charlie love candy and sing and dance during “Candy Man” and they may number over a dozen. This group may also play in the Chorus of Cooks, Squirrels, and Oompa Loompas. The Cooks appear during “I Eat More!” presenting Augustus with a smorgasbord of food choices. They will sing and dance during this number. The squirrels are non-speaking roles who sing a little and act during Veruca’s big song “I Want it Now”. The squirrels take care of all the nuts in the factory and place each one on a machine that determines if it is a “good nut” or a “bad nut”. They are initially scared of Veruca, but then gain the courage to have their way with her by placing her on the machine. They celebrate when she is deemed a “bad nut”. This is a great part for beginning actors who may only want a limited role. You've read our post "Call for Directors" and you're considering applying. Great! We ask that you write a cover letter introducing yourself and listing three references (including name, address and phone number), and that you attach your answers to the following questions. 1. Please provide a brief narrative of your theatrical background. 2. Please list the last three shows you directed, and the size and age-range of the cast. 3. Please say a few words about your people skills. MYT depends on many volunteers and their willingness to show up depends in part on the atmosphere of camaraderie and the degree of support they receive from the production crew in general and the director in particular. 4. Please outline your directing style and technique, and your concept for each show of interest. Please include any thoughts about set design, lighting design, props, costumes, etc. This is your chance to sell yourself and your vision and to give us an idea of what to expect with you at the helm of one of our productions. If you have questions, please email info@midcoastyouththeater.org. When you are ready, please email your Cover Letter and your answers to these 4 questions to info@midcoastyouththeater.org. We are seeking experienced directors to lead production teams for our two family shows in 2018. MYT is a non-profit organization providing equal opportunities for all children to perform in full length musicals. We are an inclusive theater group, which means we cast all children who audition, regardless of experience, and provide financial scholarships for those who need it. Our two family shows typically draw between 60-85 actors, of varying age, experience and skill levels. More than half of the cast will be students. The primary focus of MYT is to create opportunity for actors to learn and grow, and to have fun while doing it. Our production quality, while only a secondary goal, has always been strong with shows drawing in audiences of more than 1,000 people. The Director receives a stipend and works closely with a Music Director, Choreographer, Costumer, Producer, Stage Manager, and others. Must be able to support the MYT mission of creating a nurturing theater experience for young people, and be able to lead and work well with others. This show will open on Friday, January 12th and close on Sunday, January 14th at Crooker Theater in Brunswick. We have two shows available for this slot, The Music Man and Willy Wonka and the Chocolate Factory. The decision will be made in conjunction with selecting a director and will weigh alignment with directorial input and best fit for our programming. Rehearsals will run for 10-14 weeks prior to opening and will be held in Topsham at the Mid-Coast Presbyterian Church on Monday, Wednesday and Friday, 6-9 PM and Saturday 1-4 PM. 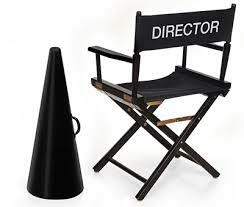 • Mid September: Selection of a Director announced. • Early October: Director's Meeting with Board to discuss vision, production team, resources and needs. The second show will open on Thursday, May 3rd and close on Sunday, May 6th at Crooker Theater in Brunswick. We will be running Marry Poppins. Rehearsals will run for 10-14 weeks prior to opening and will be held in Topsham at the Mid-Coast Presbyterian Church on Monday, Wednesday and Friday, 6-9 PM and Saturday 1-4 PM. Working around holidays, there is the opportunity to hold between 30-35 rehearsals, not including tech week. • September-November: Selection of a Director announced. • January: Director's Meeting with Board to discuss vision, production team, resources and needs. For more info about how to apply, please see the Questions For Potential Directors posted here. To submit an application please email a cover letter and answers to our posted questions to info@midcoastyouththeater.org. Information about our summer program and call for directors for summer shows will be coming soon. Stay connected on Facebook. We're looking forward to a great season in 2018. Midcoast Youth Theater presents it second show of the summer season, Rodger & Hammerstein's CAROUSEL. Have you ever made a decision that had you desperate to repair the repercussions? Have you ever been in love and had a difficult time communicating? Come see extraordinary talent tell a timeless story of love and tragedy set in our very own state of Maine. In a Maine coastal village toward the end of the 19th century, the swaggering, carefree carnival barker, Billy Bigelow, captivates and marries the naive millworker, Julie Jordan. Billy loses his job just as he learns that Julie is pregnant and, desperately intent upon providing a decent life for his family, he is coerced into being an accomplice to a robbery and, caught in the act, winds up dying. Billy is allowed to return to earth for one day fifteen years later, and he encounters the daughter he never knew. She is a lonely, friendless teenager, her father's reputation as a thief and bully having haunted her throughout her young life. How Billy instills in both the child and her mother a sense of hope and dignity is a dramatic testimony to the power of love. It's easy to understand why, of all the shows they created, CAROUSEL was Rodgers & Hammerstein's personal favorite. You'll find a wonderfully talented collection of actors, dancers, and a 10-piece orchestra to carry you through this tale of hope and redemption. Shows are Thursday July 27th and Friday July 28th at 7:00 PM and Saturday July 29th at 2:00 PM. All performances at the Orion Theater in Topsham at 66 Republic Avenue. Tickets available at the door or online here.